US Vice President warns Turkey against buying Russian anti-missile system. US Vice President Mike Pence warned Turkey on Wednesday against buying the Russian S-400 anti-missile system, Reuters reported. “Turkey must choose. Does it want to remain a critical partner in the most successful military alliance in history or does it want to risk the security of that partnership by making such reckless decisions that undermine our alliance?” Pence was quoted as having said in remarks at a NATO event in Washington. 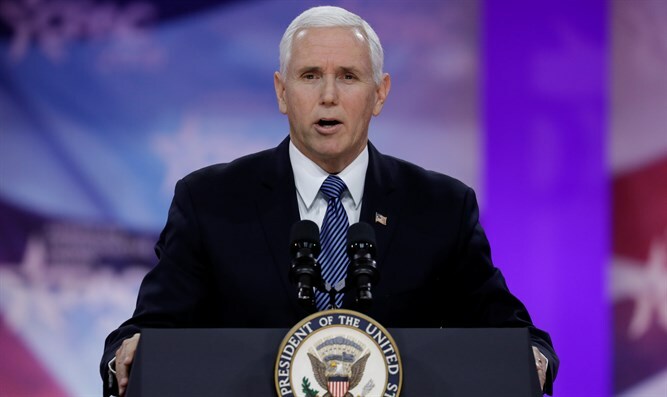 “We’ve also made it clear that we will not stand idly by while NATO allies purchase weapons from our adversaries that threaten the cohesion of our alliance,” Pence added. Military experts are concerned that the deployment of S-400s would put the security of allied weapon systems, particularly F-35 aircraft and radar facilities, in danger. The US has been warning Turkey for months that buying the Russian S-400 system would jeopardize its planned purchase of the advanced fighter aircraft. The halt in the delivery of parts and manuals is the first step toward ending the actual aircraft sale. Turkey struck back promptly at Pence on Wednesday, with Turkish Vice President Fuat Oktay issuing his own warning on Twitter. “The United States must choose. Does it want to remain Turkey’s ally or risk our friendship by joining forces with terrorists to undermine its NATO ally’s defense against its enemies?” he wrote. Earlier Wednesday, Turkish Foreign Minister Mevlut Cavusoglu said Turkey has proposed to the United States that they form a working group to determine that Russian S-400 missile defense systems do not pose a threat to US or NATO military equipment. In January, Turkey rejected a US offer to cancel its purchase of S-400 missiles from Russia. This came after a spokesman for President Recep Tayyip Erdogan made clear that Turkey’s purchase of US missiles will not affect its deal to acquire rival S-400 missiles from Russia. Erdogan insisted last month that Turkey's deal to buy Russian S-400 missile defense systems had "nothing to do" with the security of the US.